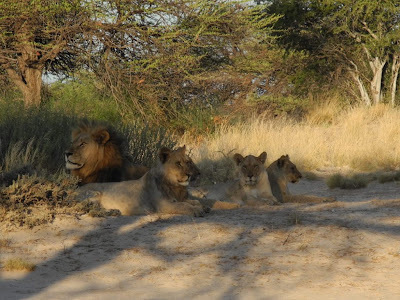 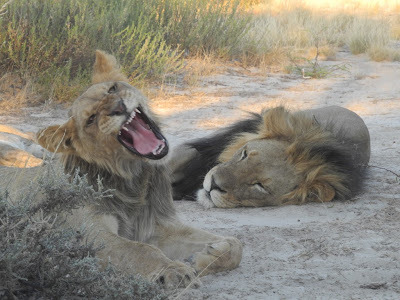 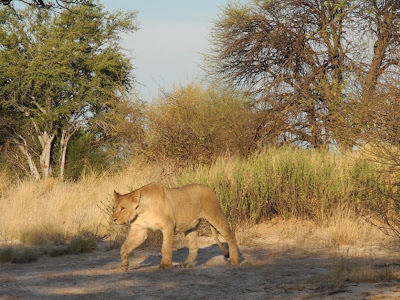 While at Mabuasehube, we got more than lucky and saw a total of 12 really big Kalahari lions. 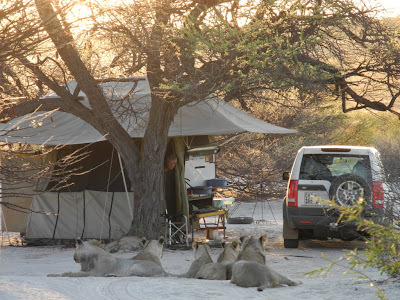 We had heard that a bunch of lions was occupying a campsite not too far from where we were staying and so we drove there to have a look. Indeed, they were there, dozing in the shade and apparently well fed. On our game drive on the next morning, we also came across a lioness. 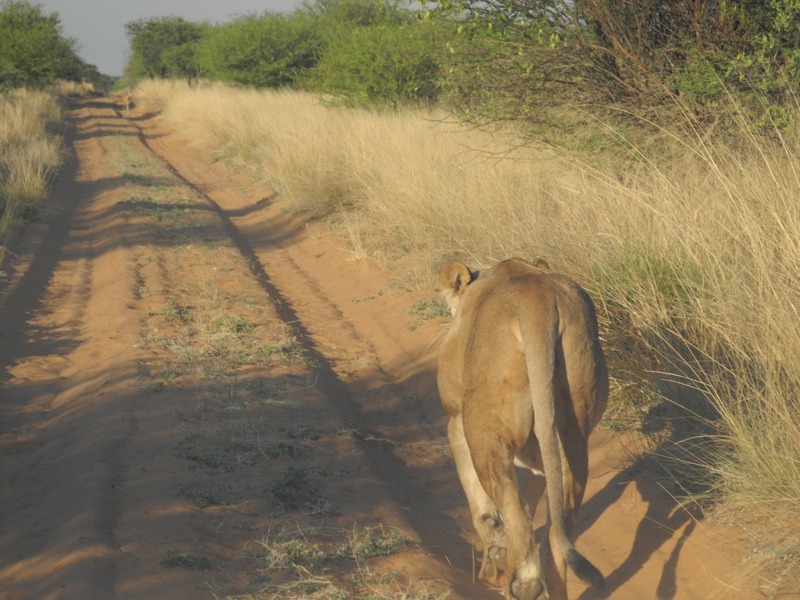 She was walking on the tracks and definitely not in a hunting mood, as the steenboks didn’t run away. 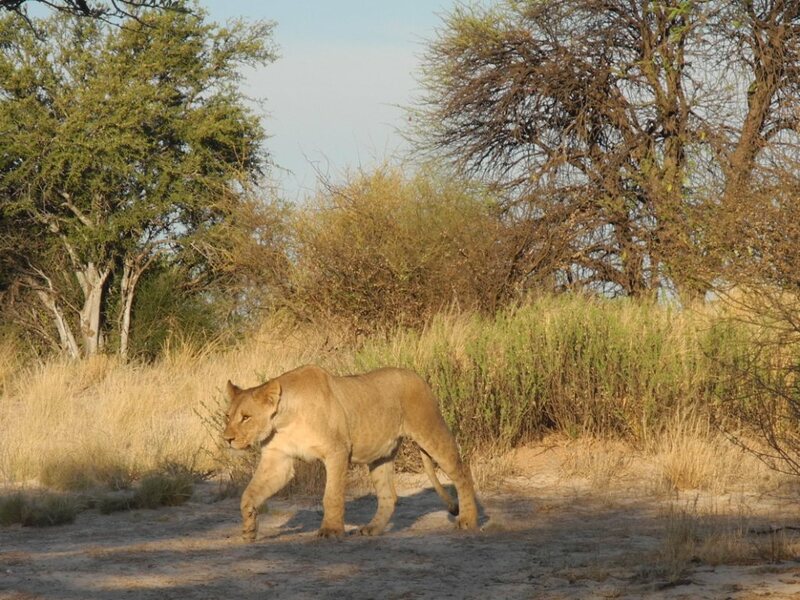 She was also very hesitant to leave the soft underground, but eventually we managed to pass her. It definitely feels strange to sleep in a tiny little tent on the ground, knowing that this is lion country. On the other hand, it is so beautiful out there – I really wouldn’t want to miss it!